PS: If you haven’t seen Ed Symkus’s story in The Boston Globe on the ending of The Noise… look in the November 30th edition of that newspaper. A confession: I haven’t always liked rock ’n’ roll. The first song I latched onto in a big way was a 19th century Haitian song, “Yellow Bird” performed by the Arthur Lyman Group, which peaked at #4 in July 1961. I was 4 1/2 years old. I also remember my classmates at the Immaculate Conception school raving about The Beatles. Ever the contrarian, I wasn’t very impressed by them. To be fair, I was only seven years old when they first appeared on the Ed Sullivan Show. I largely grew up in Bloomfield, the Italian section of Pittsburgh. As a teenager, my father played the clarinet, and performed Souza marches and military music in his school band. Later, from 1954 to 1957, he worked as a sound engineer for a local hillbilly combo, the Allegheny Ramblers, as they toured Western Pennsylvania, Ohio, and West Virginia. He alerted them to a fellow named Elvis, and his new single, “Heartbreak Hotel.” They weren’t interested. He was also fond of Little Richard, and, especially, Fats Domino. To this day, he doesn’t really like The Beatles. Old-time rockabilly and hillbilly music is more his thing. My dear departed mother loved the pop and country standards of the day; I remember her walking around the house singing “Hey, Good Lookin'” by Hank Williams, and “I (Who Have Nothing)” by Terry Knight & the Pack. My baby sister Mary was much more interested in rock than I was. She would walk down Liberty Avenue, the main thoroughfare of our neighborhood, and prattle, in a childish sing-song, an inadvertent medley of “Bang Bang” by Sonny & Cher, and “Diddy Wah Diddy,” by Manfred Mann. I also remember, in the third grade, forming a group with a skinny consumptive Jewish kid who lived over a dry cleaning shop named Jackie Aphid, and a rather beefy Italian immigrant kid named Vinnie, who lived over a drugstore, and who had a guitar. The “band” was called Vinnie & the Green Berets, and our entire repertoire consisted of one song: “The Ballad of the Green Beret” by Staff Sgt. Barry Sadler. When I was in the eight grade, during lunch period, over the P.A. system warring factions of black and white students would play “War” by Edwin Starr and “Blue Velvet” by Bobby Vinton. The first contemporary rock record I ever listened to over and over was David Bowie’s “The Man Who Sold the World.” I was about 14. From there, there was no turning back. In high school, I got heavily into rock. In college, I was an English major, but I also developed a voracious interest in music of all kinds: notably, mountain music, old-timey folk music, jazz, blues, R&B, and gospel. I also took courses in jazz, ethnomusicology and Afro-American studies and fell under the influence of a gifted teacher named Josephine Wright, a protégé of Eileen Southern, who headed the Afro Am department. Ms. Wright urged me to write about music, and I’ve been at it ever since. For the past 32 years I have written for The Noise. I have had the rare opportunity to write about artists such as The Girls, Mission of Burma and Throwing Muses (and too many other bands to mention), and to champion early on the likes of Ed’s Redeeming Qualities, The Pixies, The Lemonheads, Bullet La Volta, Galaxie 500, Dinosaur Jr., Anastasia Screamed, Green Magnet School, Gingerbutkis, and The Magnetic Fields, as well as Baby Ray (who wrote a song about me called “Superbutch”) and The Well Babies (who recorded a song I wrote, “Alcoholic Psychosis,” which was also covered by Tire). T-Max, Sad to hear, thanks for the effort you put in over the years. I always enjoyed it. You connected a disparate music community. I never was a rocker, (more folk/country/Irish) but I vicariously enjoyed the scene via your ‘zine. I will miss the Noise. It was a hub to meeting numerous people and was the magazine that covered what was important in most of our lives. Thanks for putting your heart and soul into this for such a long time. There will never be anything like The Noise again. And thanks for letting me be a part. I made some of the best friends of my life through writing for The Noise. Good luck with everything that comes next! Thank you for giving us a chance! We never a bad CD review! I am always thankful for the support and humbled by the keen ear to which my/our music was reviewed. You changed made my/our musical path by opening it up to many with your coverrage. People read your reviews and came to the shows! There is no way to say thank you all enough for that help! Cheers to you T-Max, to Frances DiMenno, R.J. Ouellette (no relation to me) and Tony Mellor and anyone else who had taken the time over the past 7 years that we have been sending you material to give a review! Hey T-Max thank u so much for providing a ‘zine that we could pick up in the early eighties on a Friday night to see what bands were playing, for Andy & I, as some clubs couldn’t afford to advertise in the Phoenix. I think a scene needs several elements- one is a club- The Rat, a radio station- WMBR, a record store- Newbury Comics and a fanzine- The Noise. That was the essential ingredients of Boston punk. Someone recently criticized me on my pronunciation of fanzine. And I was wrong, but I do know what it describes t0- it’s passion, fun, guts and integrity, it’s an exhilarating tightrope walk of ecstasy and oblivion and every word that was printed in the Noise alludes to this. And every word that was printed in the Noise is the true ledger of Boston punk and more importantly, the life, love and passion of an era that was the best of its times. Thanks Slimedog – you’ve got the ingredients right for a successful scene. And I appreciated your off-the-wall review that ran in the Noise. Mrs Slimedog and Slimedog’s cat became real characters that Noise readers would enjoy hearing about. Hope ou are still writing. 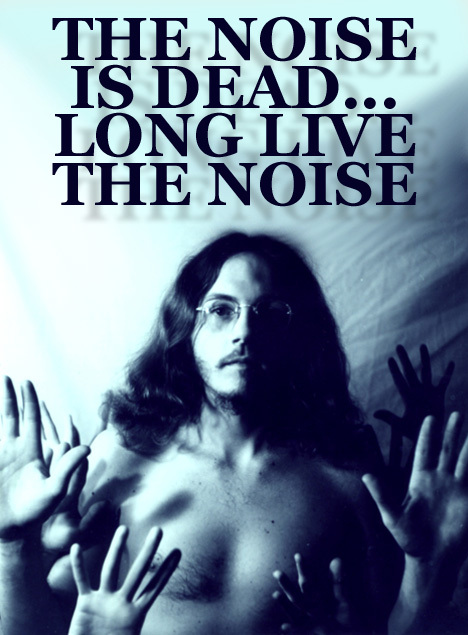 The Noise was absolutely a must-read for me for many years. Thank you for putting in the work all of these years! Bums me out the Noise is ending. It was a huge part of my experience with getting involved in the Boston music scene and I got to meet so many amazing people and listen to such amazing music because of it. This will take a while to sink in for me. Good luck T Max, and I just want to say that I appreciate all you have done. Thank you. Kier – Music will go on – and other people will step up to do their thing to help music shine. Just keep creating your music – you’ve done an amazing job at it. You have been a true leader, an inspiration and downright good man. Congragulations of your lifetime acheivement of great work. We salute you to have kept it on the beat for so long- perhaps even a bit past the point of experation. The noise provided everybody with a voice and long before the internet you provided community. Be well and rest accordingly for you deserve it, friend. The Boston music scene was elevated to a high degree with the NOISE. It is sad to see these days behind us, but its getting pretty obvious that the ugly greedy people have taken over and there’s no going home now. With the death of the noise, lets bang the final nail in the coffin of ye olde Boston scene. Lo, rock n roll may ye never die! But please, comrades, lets hear 1 more song before the end! We miss you in Boston, Peter. Things will always change. You can count on that. At least you got a house in Knoxville – I have never been able to buy a house. Went to a bank once and the guy laughed at me. Really.